Canceling a timeshare contract in Colorado is allowable if you are lucky enough to be canceling your contract within the lawful rescission period. Even if you are canceling within the rescission period according to Colorado timeshare laws, you also must follow the strict procedures for timeshare cancellation in Colorado according to state law. How do I cancel a timeshare in Colorado? What types of Colorado timeshare sales protection laws exist? Are there any types of timeshare resale security regulations? If I quit paying my Colorado timeshare fees, what can I expect from Colorado timeshare foreclosure proceedings? Is timeshare foreclosure in Colorado judicial or non-judicial? The following article will explain the Colorado timeshare laws and how they may be able to protect you if you need to get out of a Colorado timeshare. If you want to cancel a timeshare contract in Colorado, you are allowed to do so if you initiate the cancellation of the deal within 5 days after signing the timeshare contract. These are 5 calendar days, not 5 business days. In order to legally cancel a Colorado timeshare contract, you need to supply the timeshare seller with a notice of cancellation, either in written or electronic form, through email, postal mail or hand delivery. (Colo. Rev. Stat. Â§ 6-1-703). Once you have delivered your notice of cancellation of a Colorado timeshare contract, the timeshare seller is required to refund any deposit or money you have put down made at the signing of the contract within 7 days of having received the notification of rescission in writing (Colo. Rev. Stat. Â§ 6-1-703). When officially postmarked (when sent via postal mail). When physically delivered to the timeshare seller’s business address, as with hand-delivery. (Colo. Rev. Stat. Â§ 6-1-703). The situations under which a timeshare buyer might exchange his or her rights to make use of accommodations or properties in one area for the right to utilize holiday accommodations or properties in an additional location or the time period that the lodgings will certainly be readily available to the timeshare buyer (Colo. Rev. Stat. Â§ 6-1-703). Timeshare owners often discover it extremely hard to sell their timeshare properties due to the near non-existence of a timeshare resale market. Therefore, fraudsters have turned up which will falsely contact timeshare owners telling them that there is an eager buyer for their timeshare. The catch is that the owner of the timeshare will have to pay a large preliminary fee of hundreds or even thousands of dollars to facilitate the sale. Following the timeshare owner’s payment, the scam artist is never heard from again and, of course, no sale takes place. Colorado timeshare laws provide defenses to protect visitors from this kind of timeshare resale fraud. The presence of potential deals to resell or lease timeshare to a new buyer/renter. The probability of, or the necessary time period to close any sale, rental or transfer of a timeshare. The potential resale value of the timeshare. The present or future total cost of ownership of the resale timeshare (consisting of maintenance fees, special assessments or tax bills). How the amount of money paid by the person who purchases the timeshare resale will be utilized. The source or method used to obtain personal information of the timeshare owner in order to contact them regarding timeshare resale deals. The true identification of the timeshare resale company or their affiliate agents. Conditions and terms whereupon the timeshare resale service is provided. A resale contract is required in writing before any resale associated services are set in motion. As the timeshare owner involved in a resale deal, you are then able to initiate cancellation of the resale contract within 5 days of signing. Again, these are 5 calendar days, not 5 business days. In the case that you do initiate cancellation, the reseller must give you a refund within 7 days of receiving the rescission notice. (Colo. Rev. Stat. § 6-1-703). If you obtain a mortgage to buy a timeshare interest that is deeded, and then you neglect to make the payments on your timeshare mortgage and/or associated fees, your timeshare property will likely end up in foreclosure. 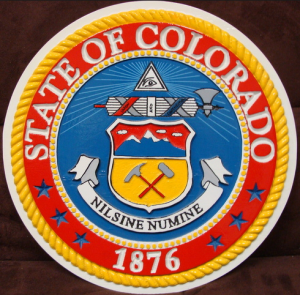 Timeshare foreclosure in the State of Colorado may be non-judicial or judicial. Too Late to Cancel a Timeshare in Colorado? 1-888-743-9051 or use our Online Contact Form to request free, no-obligation information about canceling a timeshare contract in Colorado.